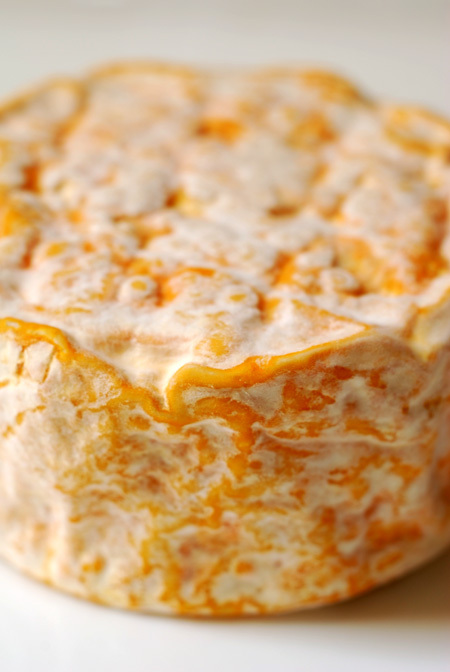 If you are a fan of washed rind as I am, then you'll be most interested in this next cheese. 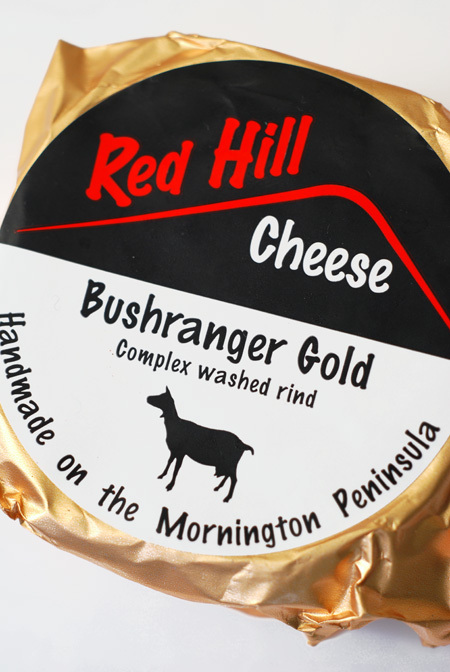 Bushranger Gold is a washed rind, goat cheese and that warning sticker is really unnecessary as your nose will immediately tell you that is one of those delightfully stinky cheeses. While taking these photos, even through the wrapper those heady mushroom scents kept wafting up to tease me. 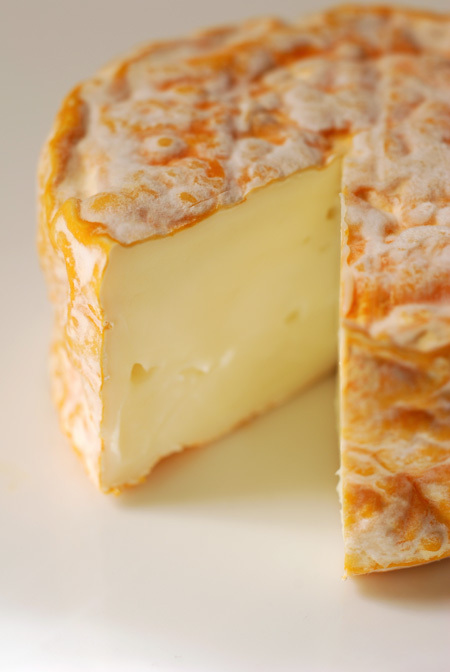 A wild washed-rind goat-milk cheese with a delectable, complex cauliflower flavour, lingering on the palate. Mild when young; sticky and pungent with an explosive flavour when fully mature. It is also made using vegetarian rennet. 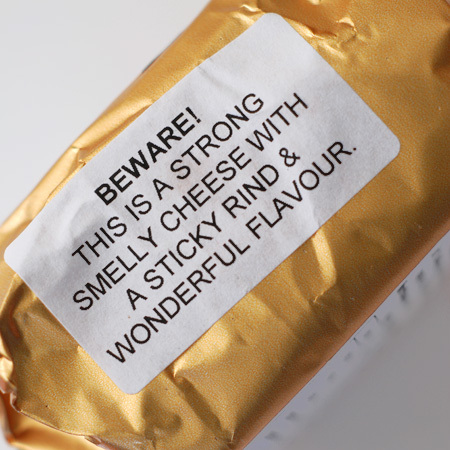 I must include a caveat that the "best by date" for this particular cheese is March 15th - so at this early stage of maturation, the flavours are all very mild. It will be very interesting to compare another specimen closer to its best by date. I would imagine that the interior would become a bit more runnier along with an intesification of flavours and aroma. 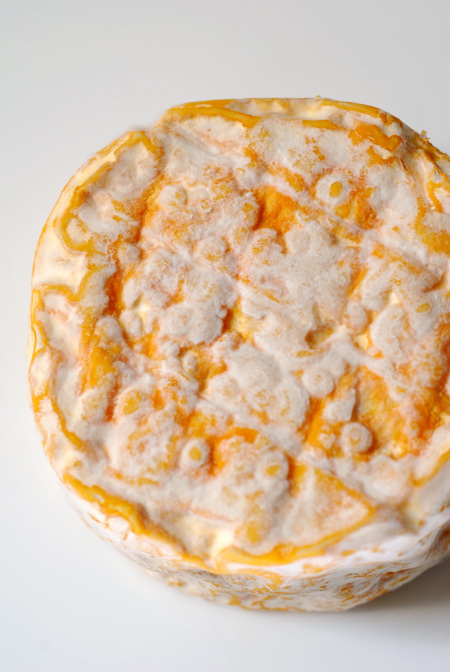 Currently the skin is highly edible and though the interior is firm, it still is quite creamy in the mouth. 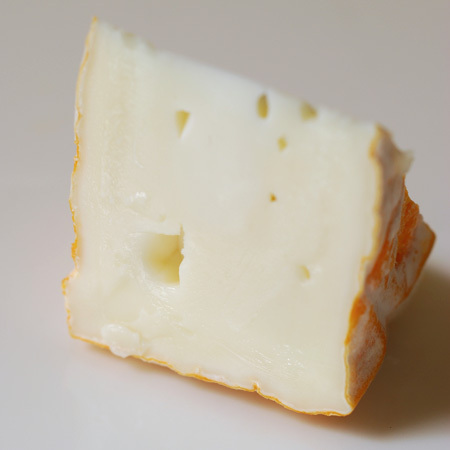 Paalo thought this had similar characteristics to a Taleggio and can vouch for its delectability. If you are unsure of washed rinds then this would be a really good place to start and perhaps built up to a more matured version.